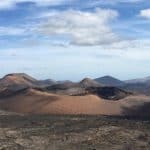 What to do in Lanzarote with children? The “lunar island” of the Canary Islands is the perfect destination to visit with the smallest of the house. You will no longer wonder what to do in Lanzarote with children? because in First-Minute Transfer we bring you the answer. You will be surprised with everything there is to do to enjoy the longed for family holidays. The good weather, volcanic landscape, stories that go from mythical mermaids to attacks by pirates and corsairs, paradisiacal beaches … All this and much more make Lanzarote the perfect place to take your children on vacation. Each site you visit will awaken your imagination and make you remember these holidays for the rest of your life. The average temperature of Lanzarote is 23ºC in summer and 19ºC in winter. The size of the island is around 800 square kilometers. Which means you can go through it without problem in a few days. It will take about an hour to go from end to end, so if you are staying in the south, willing to visit the attractions that are in the north, that will not be a problem. They can even go to several places on the same day. 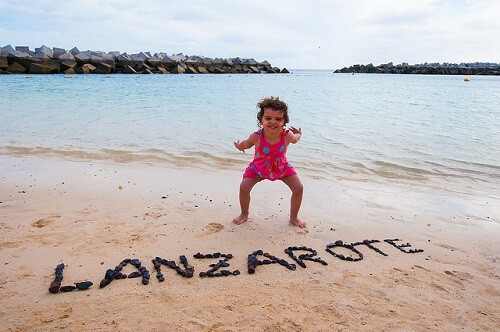 If while planning the holidays, your children ask what is there to see and do in Lanzarote? awakens their interest by reminding them that the fourth part of the island is covered by lava. It also has one of the richest underwater landscapes in the country, can ride a camel and travel by submarine. 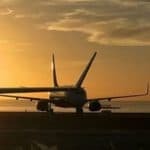 With this information, they will want to be more involved in the trip. Traveling with babies to the island is also possible. Some places are not adapted for you to carry the trolley, but you can have them in the baby carrier bag. It is a matter of finding out beforehand the characteristics of each site to carry only what is necessary. From the rest, you will be surprised by all the plans Lanzarote has for your family holidays. No day will be a wasted. 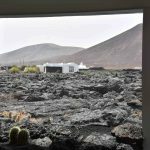 If you decide to travel around Lanzarote with a baby and small children, look for a lodging in which everyone is comfortable. The aparthotels are a good option because they have a kitchen and you can prepare the food of the little ones. And in addition, they also have meal plans, in case you prefer not to cook. There are many hotels that have special services for children. So if you decide to spend a day in the lodging you will not get bored. 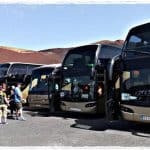 The municipalities in Puerto del carmen, Matagorda and Costa Teguise in centre of the island, are recommended to stay with the kids because they are tourist centers. They are close to the beaches and you can take a day to walk without going far. As for transportation, there are those who choose to rent a car during the time they are on the island. 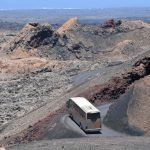 But you can also book the transfer from the airport and do the excursions around Lanzarote with First-Minute. Your walks will be comfortable because they are already organized and you will have guides who know every place they visit. 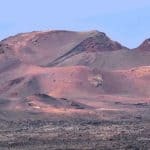 What can you do in Lanzarote with children? There are many things to do in Lanzarote with children. We present some alternatives that you can not miss during your vacation on the island. 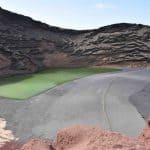 Among the main attractions of the island is the Timanfaya National Park. The route is 45 minutes and it is done by bus. During the tour they will make specific stops to take photos and see the exhibits of the guides. 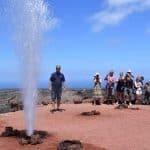 Children will enjoy the geysers that come out when pouring water into a crater, in addition to the volcanic landscapes. 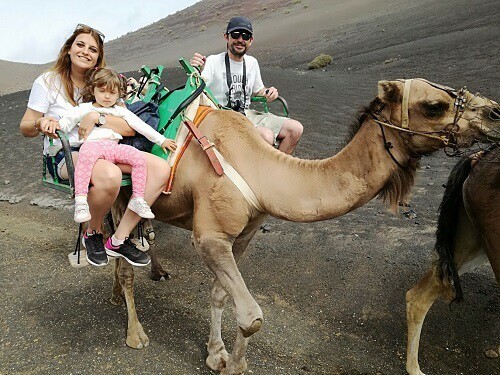 In the visit to the park you can also approach a volcano on the back of a dromedary. A 20 minute walk that kids will love. 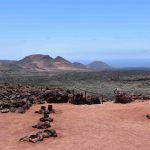 One of the places to see in Lanzarote in a week is the Piracy Museum that is located in the Castle of Santa Bárbara, in Teguise. Inside the museum you will find models, comics and reproductions of the weapons used by pirates. There are also activities for the little ones. This is a fun way to learn about the history of the island. If your little ones are excited about getting on the boat, it will not be difficult to convince them to go to La Graciosa. To get to the island you have to take a ferry that leaves from Órzola, in the north of Lanzarote. When you are there you can explore the almost desert island and enjoy the beaches with calm waters. Find out the departure times and go as early as you can in order to take advantage of the whole day. And if taking a ferry seems fun, you’ll like to explore the bottom of the sea on a submarine even more. The walk is a little expensive, but it will be an unforgettable experience. You can not miss it if you go sightseeing with children in Lanzarote. From the inside of the submarine you will be able to see hundreds of species that live in the depths of the sea and take photographs. When you plan what to see and do in Lanzarote. These two sites will always be present. Both are formations that arose from the eruption of the Volcán de la Corona. Cueva de los Verdes is a volcanic tube that reaches the sea. The inhabitants of the island hid there to protect themselves from the attack of the pirates. You can only travel the first two kilometers of the six you have. The Jameos del Agua consist of a volcanic tunnel. In the interior there is a lagoon where the “jameitos” are, some small albino and blind crabs. 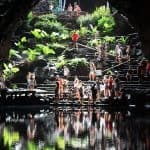 After passing the tunnel there is an area designed by César Manrique that includes a swimming pool and a garden. Enjoy the trip to the island and contact us if you want to book any of our excursions. If you know more activities to do in Lanzarote with children, leave us a comment.